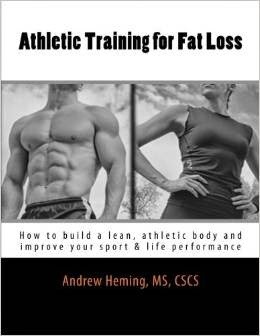 Andrew Heming's Blog: Do You Need Direct Arm Work? Do You Need Direct Arm Work? When it comes to you training, you must demand results. You should seek those results in the most efficient manner possible. To do this, you want to make sure you are investing your valuable time in doing the exercises that will have the greatest impact on getting you to your goals. At the same time, you don’t want to waste time or energy on exercises that will deliver little in return. This brings up an all-important question: what about arm exercises? Should you bother doing direct biceps and triceps exercises or will the other upper body pulling and pushing exercises take care of it? 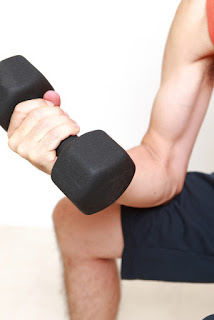 Also, if you are doing direct arm exercises, is it enough to just do them as part of your other training sessions or do you need a full arm day? It’s time you get this question answered - for YOU! As with most training questions, the answer this one is - it depends. To get a personalized answer, here are a few questions to ask that will guide you to the right answer for you. 1. What level are you at? 2. What are you goals? Fat loss/muscle definition: if your goal is fat loss, you likely don’t need direct arm. You can add it, but do so because you actually want to build arm size, not to tone. One of the biggest mistakes people make when are trying to lose fat or “tone up” is to waste time trying to spot reduce their problem spots with small, inferior isolation exercises. Appropriate dietary changes and big, total body movements (e.g. squat, deadlift, upper body pushing and pulling) will have a much greater impact on firming up your triceps than endless sets of triceps kickbacks. Related: More on spot reduction and 8 Superior Alternatives to 8 Popular "Lady Exercises"
Muscle gain: only the most genetically gifted individuals can build big arms by just doing direct arm work. I agree with Charles Poliquin that most people will need to gain about 10lbs of total body muscular weight to gain an inch on their arms. However, most people will need to do direct arm training to maximize their arm development – especially if they are competing in bodybuilding/physique show. Performance: athletes need to have strong arms. However, you can build a lot of arm strength with exercises such as heavy chin-ups and close-grip bench pressing. Also, athletes need to realize that exercises like squats, deadlifts, explosive lifts and farmer’s walks are the real game-changers. Also, because athletes are suggling the demands of their sport along with their training, time and recovery ability are at a premium. However, because I know most guys like arm training and well-developed arms can be intimidating to the opposing teams, I often include optional direct arm training with my male athletes. 3. What type of body do you have? Your need for direct arm work will also depend on your body type. Mesomorphs: if you are a mesomorph, you naturally have a muscular build and relatively short to average limb lengths. You would likely have good arm development – even if you don’t train. Also, your body type will often get a lot of arm stimulation from their upper body pushing and pulling exercises. Therefore, you don’t need direct arm work. However, because of your great work capacity, you can add in direct arm work if you have the time and want to maximize your arm size. Endomorphs: if you are an endomorph (those who naturally carry more body fat) you will likely have average arms. Because of your natural tendency to hold onto body fat, you need to prioritize bigger lifts that will have a greater metabolic impact. You may also need some extra time at the end of your training session for some conditioning work. You can add arm work in, but only if you have the time after getting the most important things done. Ectomorphs: if you are an ectomorph, you naturally have long, thin limbs. Since this is my body type, I can speak not only from my coaching experience, but also from personal experience. You will not gain any arm size if all you do is direct arm work. You need to focus first on training your whole body and getting your body weight up. However, don’t make the mistake I made and listen to people who say things like, “all you need to do is squat and everything will grow.” While the big movement are essential to get everything growing, I have lost arm size every time I took direct arm training out of my routine and tried to just do the big lifts. 4. What are you currently doing and how is it working? If your current routine does not include appropriate variations of squats, hinges, pushes, pulls and loaded carries, arm training won’t do much for you. Also, consider your results. If you are doing these other movements and making gains but still not seeing much with your arms, you may need to add some direct arm work. With training (and all of life) it is important to put first things first. A solid training program needs to have a foundation of big, basic movements. Make sure these get done. Then, if time permits, you can add some arm training to the mix. Also, if you are wondering about a whole day devoted to arms, consider how many days you have to train. I would typically not recommend a whole arm day unless you are specializing in arm training or you can at least 3 other days for the big muscle groups or movements. 6. How is your recovery right now? Always remember that you have a limited recovery capacity. If you exceed this, you won’t make gains. While direct arm training is less taxing than lifts such as deadlifts, you are still dipping into your recovery reserves. If you are struggling to recover, you may need to stress less, sleep more and eat better. If you can’t, then you need to cut back on your training. Well, I hope this gives you some things to think about when it comes to you and your training. All the best! As always, I welcome you to leave your thoughts, comments and questions below or on my Facebook Page.